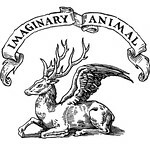 if you missed our latest imaginary animal gift pack giveaway here's another chance to win! visit bird and cleaver (by saturday) to enter. while you're at it you might want to explore more of john and lindsay's snazzy blog. lots of tasty recipes, family fun and vintage inspiration... plus they're opening a new shop very soon!